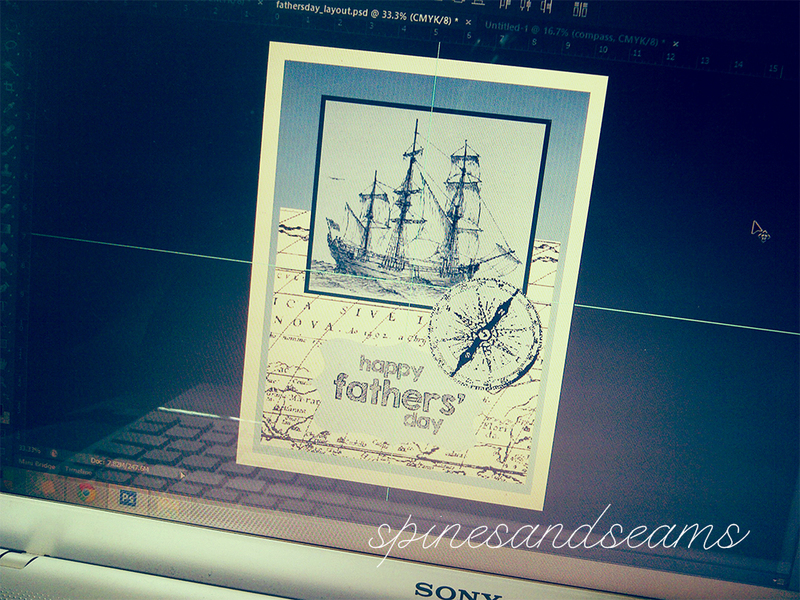 First, I drafted out a layout of the card in Photoshop. Got the images off of various free digital paper/textures resources (blue stripy background, borders are solid colors) and maybe some (the ship drawing and compass) off of Google Images. (I won’t be selling this card so please don’t sue me.) 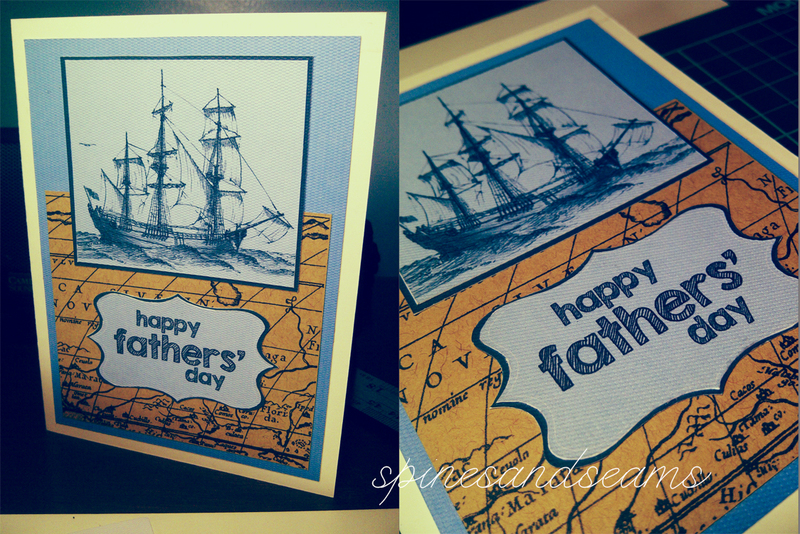 The layers are: 1. blue stripy background, 2. map texture, 3. ship drawing, 4. fathers day label (shape template here), 5. compass. I printed those out, the map image on brown paper with speckly bits and the rest on white textured cardstock. 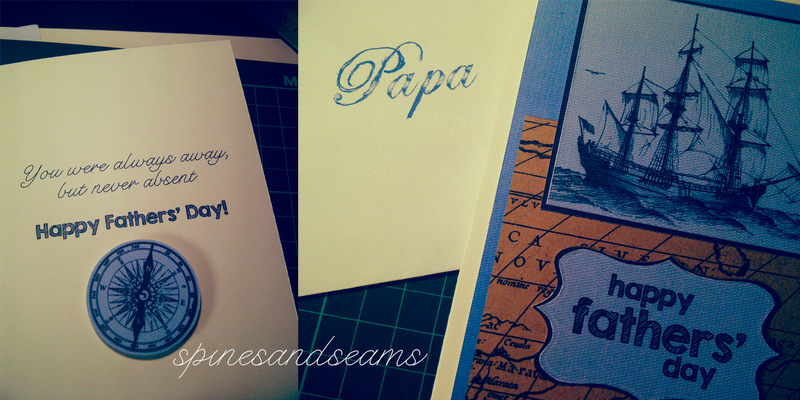 I cut those out using scissors and an X-Acto knife, heyyy! 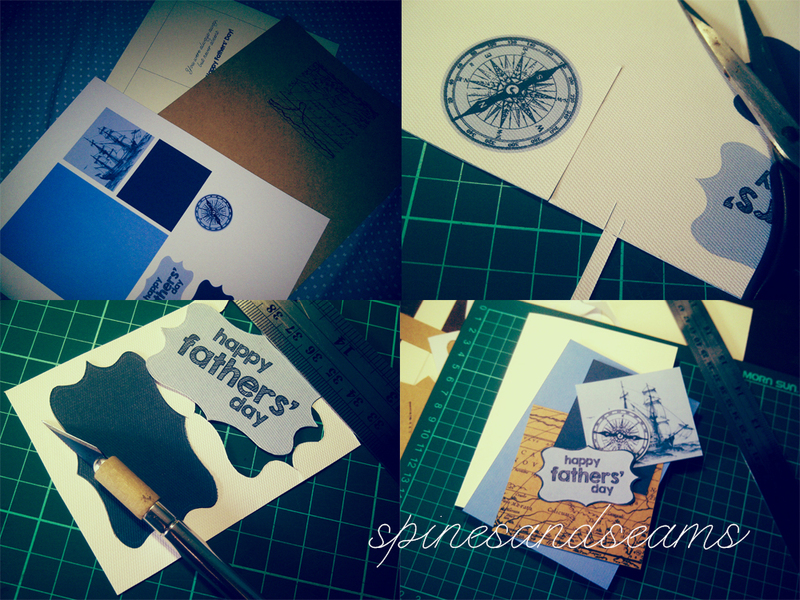 I decided to put the darker border colors on separate cardstock for more dimension on the final layout. Glued those bits and pieces onto my card base (which had a printed message on the inside) using, well, glue. I decided to stick the compass on the inside of the card using padded double-sided tape because putting it on the front of the card made things too asymmetrical for my tastes. Oh, that thing with “Papa” on it is the envelope. That’s it. Let me know if you’ll try this out. Am I talking to anyone yet?